Every Wednesday, classes gather together and read ‘The Wednesday Word’. We then take this home to share with our families. The Wednesday Word is a double-sided A4 leaflet which carries the Sunday Gospel into our school and into family homes. 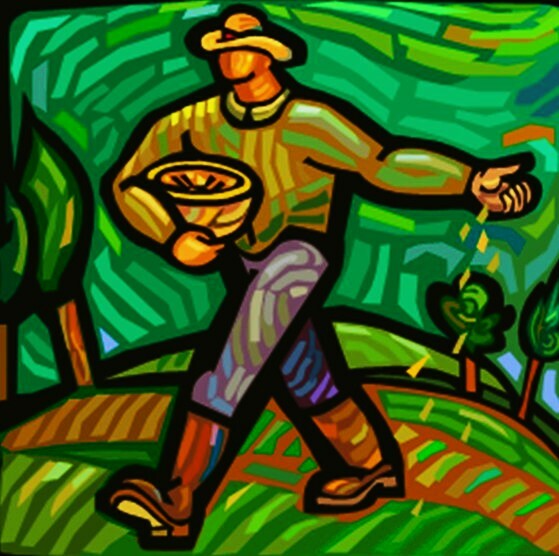 It is hoped that in this way the Word will be sent out (as in the Parable of the Sower and the Seed), creating a new opportunity for the Word to be present in the homes of our Rosary families. We hope it will be a wonderful new way to enhance the Home, School and Parish partnership. Click here to visit the Wednesday Word Website where you can find out more about it, visit the children’s area which has lots of activities and links and read the parish version of the Wednesday Word.